Most of the time, people are generally happy that Spring is approaching. For me, I look at the sky and see Orion creeping closer to the horizon earlier and earlier. And with Orion setting, I see my chances of imaging anything setting as well. For those with good skies, this is galaxy season. But being in a red zone, that's not too much of an option really. So what do I do? I don't want to just stow my gear until summer. I don't know of any decent nebula. I mean, Cassiopeia is out there... but its low. And low for me means DC. With narrow band I don't think it's a huge issue. But the house behind me is indeed. So whats a Red Zone NB imager to do in the spring? How about Abell 31 in Cancer? Perhaps, volunteer to be a moderator for CN. Sorry, I know that is not what you want. But I had to say it. After all, that thought crossed my mind. Think of this as an opportunity not a problem. Here are some ideas. 1. Measure your mounts periodic error and generate a PEC curve. 3. Get out of your comfort zone and plan a trip to a dark site. 4. Have some fun and try some live stacking/EAA style imaging. Does not have to be color, mono works just fine for EAA. What's not to like about shooting some star clusters? There are lots of interesting ones to choose from. 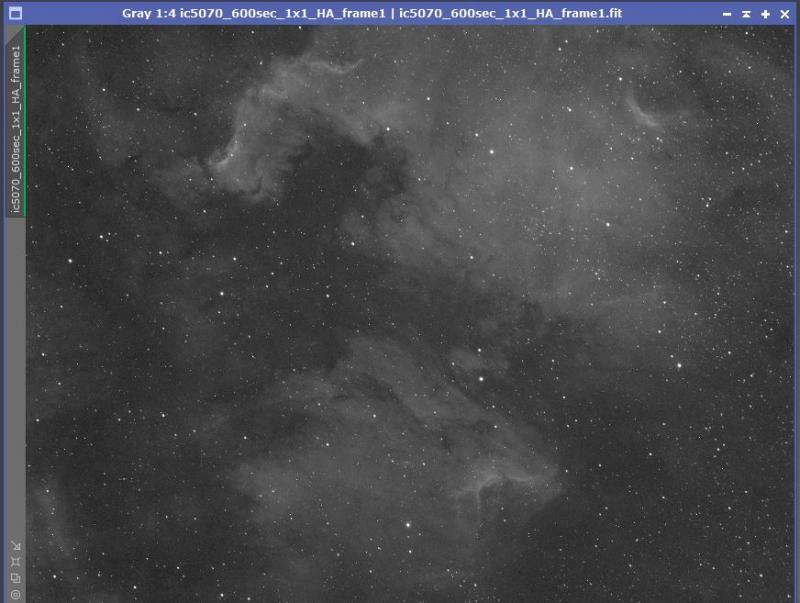 And if you think it's no challenge, be sure to get the star colors accurate in processing. Might surprise you. Forgot that one. Shooting star clusters like shooting the Moon is easy to do but difficult to do well. I have not tried clusters yet. How much will LP interfere, or are the images short enough you can mitigate? Don't give up on galaxies. You just need long exposures. I image from a city and i just live with the really long exposures. You can still do cool stuff, it just might take a week's data for a single cool image. You could aim to just record obscure and interesting objects, like new supernovae at great distances. From my red zone, clusters taken with very short exposures (ASI1600), are not much bothered by LP. I even shoot them under moonlight. Caveat here is you better be up on your processing skills. Globular clusters are a good target, if you can wait until M53 or M12 are high enough. Light pollution won't really be a problem. Planetaries like Abell 31 and 33 are around, but you see few images of them since they compete with spring galaxies. And you should try some of the bright Messier galaxies. You'll be surprised at how much you can do on a target like M51 with a lot of integration time. And, Derek... when do we get to see the latest version of your awesome Galaxy Poster? Been out of action for a while. But hoping to bang out a bunch more this season. All galaxies done by me from red zone. Get out there and image!